Kyra is a large pattern sable female with little angulation. She has been awarded with a BH and canine good citizen title also she was being trained for Search and Rescue. She is a strong, high driven female with a sweet loving personality towards kids, puppies and people. 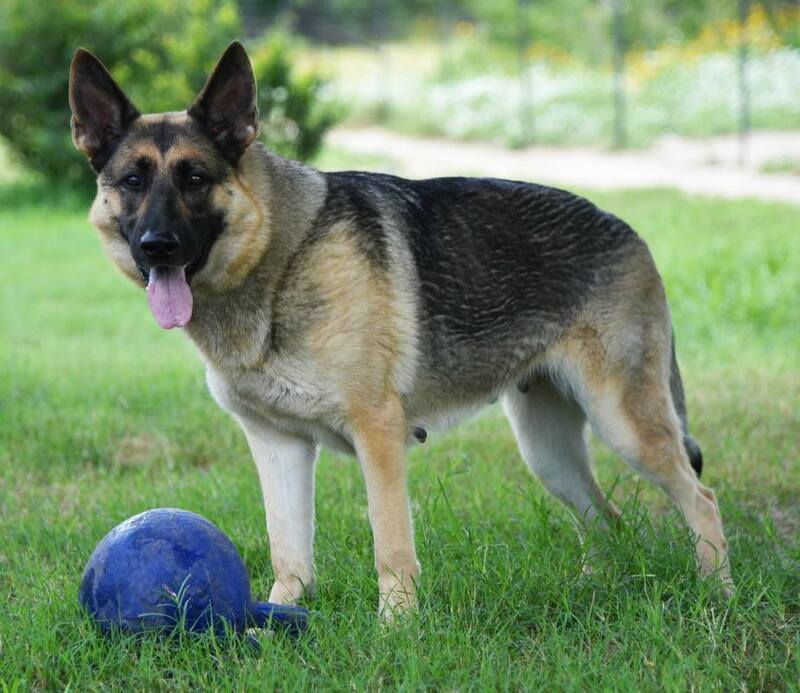 Kyra comes from a strong line of hard dogs such as Dasty von der Berger Hochburg Schh3 a son of SG Pike von der Schafbachmühle Schh3 IPO3 FH (BSP)and is line bred a 3-3 on full siblings SG Forma von Karthago Schh3 IPO3 (BSP)/Zara von Karthago Schh3 very strong females out of SG Half vom Ruhbachtal schh3 FH (BSP) and Anja vom Kerpener-Land schh1.